by Adam Lechmere – Fine wine prices in 2011 showed their most dramatic fall since 2008 – with some values dropping by nearly half. According to the fine wine exchange Liv-ex, prices of the 100 top-traded wines, of which 95% are Bordeaux, fell by an average 22.5% between June and December last year. This was the most precipitous fall since the beginning of the recession nearly four years ago. In a shorter time period, August to December 2008, the Liv-ex 100 fell by 22%. 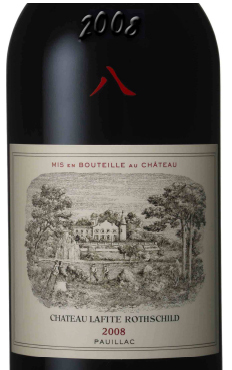 It is top Bordeaux that is falling fastest, Liv-ex director Justin Gibbs told Decanter.com. Another index, the Live-ex Claret Chip, which consists only of Bordeaux first growths in top vintages going back to the mid-1980s, showed an even steeper decline, dropping 26% in the second half of 2011. The greatest loser was Chateau Lafite 2008, which peaked in January 2011 at £14,043 a case and whose last average trade price, this month, was £8,108, a fall of some 45%. This is a very different picture to October 2010, when the price of Lafite 08 rose by 20% overnight after it was announced bottles would be marked with the Chinese symbol for the number 8, regarded as propitious in China. Lafite 2009 has dropped 28% in value in the last six months, from 13,831 in July 2011 to 9,800 in December 2011. In contrast, top second growths like Leoville-Las-Cases and Cos d’Estournel have ‘outperformed the falling market,’ Gibbs said. Leoville-Las-Cases for example dropped from a high of £2,427 in July 2011 to £2,315 in December 2011. Other disappointing performers have been the second wines of the first growths, with Chateau Margaux’s Pavillon Rouge 2008 losing nearly half its value. Selling at £1,570 a case in March 2011, it could be picked up for £843 a few days ago – a drop of 46%. Carruades de Lafite 2008 fared better, but still lost 29% of its case price. In June 2011 it was selling for £3,800, while the last trade was £2,700. However, Gibbs said the market was still robust for some vintages of blue chip second wines. Carruades 2005, for example, was £3,672 in June 2011, and holding up well at £3,054 last month. Outside first growth claret the picture is slightly more positive, with Burgundy’s Domaine de la Romanee Conti, Chateau d’Yquem, top Rhone wines and Tuscany’s Sassicaia the strongest brands in 2011. Liv-ex Fine Wine 100 and Claret Chip are based on merchant transactions on the Liv-ex Fine Wine Exchange.